The Admin Law Blog is a forum for the discussion of ideas and developments of interest to scholars of administrative law across the common law world. It aims to connect administrative law scholars to each other and to contribute to the growing field of comparative administrative law. The blog is edited by Farrah Ahmed (Melbourne Law School), Swati Jhaveri (National University of Singapore), and Adam Perry (University of Oxford). This blog is an incubation site for scholarly projects and legal reform proposals. It will feature both analysis pieces as well as a regular ‘roundup’ of developments in the field. We launch the blog with a topical post by Susan Rose-Ackerman on ‘Administrative Law, the Common Law and the US Presidential System’ comparing separation of powers and checks and balances in the US to other common law parliamentary democracies. Paul Daly’s post on ‘Voidness, Voidability and Values‘ offers an account of the distinction between unlawful decisions that are void and those that are voidable. 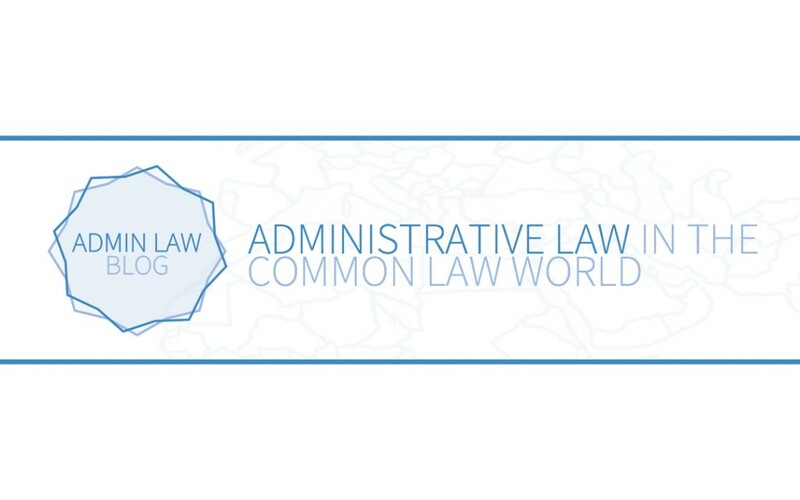 We hope that this blog is a useful tool for exchange between communities of comparative administrative law scholars. We welcome submissions, replies and comments on posts. Submissions are very welcome at alawblogorg@gmail.com. Follow on Twitter at @adminlawblog.